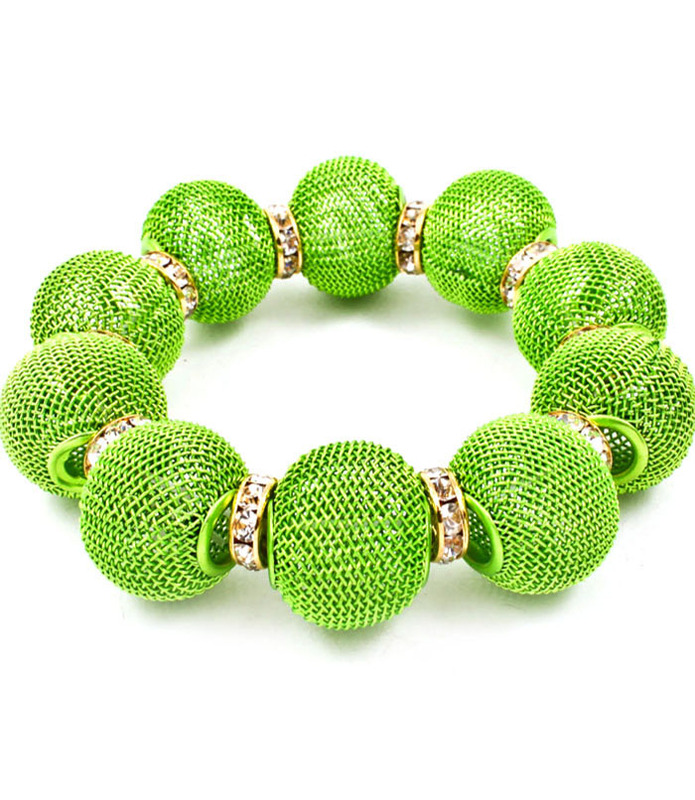 hot squeeze of lime and a dash of sparkle constitutes the Kristin bracelet. Featuring mesh ball beads and crystal spacers on a comfortable stretch. Make your look pop, snap, and shine. Buy now from Oz Bling, a popular and trusted online jewellery store.